Let's continue on with this tutorial, shall we? In case you stumbled on this page from another location and did not chance to finish page one, click here to start the tutorial from the beginning. As is the case with almost all of today's animations, you will need to have some minimal knowledge of ActionScript programming to make the most out of Flash. The following sections of text and code will help you to accomplish what you desire in Flash. Right click on the menu and select Edit in Place. You will now be editing the movie clip that contains the buttons. You have just completed adding the code to all the buttons. 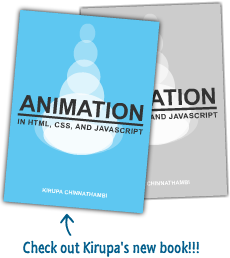 Save the animation and preview it in your browser by going to File | Publish Preview | HTML. Now, click the buttons. Notice that the individual pages load in the main window. If the difference still eludes you, click the home button. Notice how the CLUB Kirupa logo appears. Yet, when the page is loaded initially in the browser (press the Refresh button), the home page containing the logo does not appear in your version of the animation. That is because we did not code that in there. We did code the home page button, but that works only when the user actually clicks on the home link. When the page initially loads, the user does not click anything. The home page content should display without having the user input anything. Click the Scene 1 tab. I am presuming you are still editing your buttons in the menu movie clip. If not, ignore this step! Save the file and preview the animation in your browser by going to File | Publish Preview | HTML. Much better! Notice how the logo from the home page animation displays when the animation loads. Now, let me explain how and why the code works the way it does. When the user clicks a button (or loads the page) a movie file from another location has to load. The movie file loaded has to be loaded into a specific location. MovieClipName in the above code is the name of the movie clip that the movie, "url to movie.swf", will load into. Basically, the LoadMovie action helps me to accomplish the two requirements I set forth above. Therefore, let us take a peek at a section of code added to one of our buttons. The following section of code has been taken from the home button. The first line is basically the event handler that triggers the code in the lines that follow. The second line is where the loadMovie code appears. While the code looks a little different from the loadMovie code I explained above, it is quite similar. The name of my movie clip where the animation main_content.swf loads is called contents. I added _root before contents because the movie clip contents is located on the main timeline. Each of the other buttons have similar code with only the movie different. For example, the locations button will not have the action "main_content.swf". The locations button has the movie's name specified as location.swf. You can see the other animations by going to the folder where you extracted all the animations. Avoid boring loading delays by adding a nice preloader. Display your animation in a pop-up window that centers on the user's screen. Follow Phil Jayhan's tricks to get search engines to like your site. Text in Flash: Make it Legible! Learn how to make text easier to read for your viewers. Use the Flash Detection scripts to ensure your visitors have Flash and can see your site! You may be wondering where the final FLA for the animation is. If you downloaded the partial source code, the final SWF and FLA are available. Open the file clubkirupa_final.fla (part of larger download) to see my version of the same animation you modified. I really hoped you enjoyed this tutorial. I still feel this tutorial is unfinished (after weeks of re-writing) and missing a few more tricks/steps to help the user out. If you have any modifications or suggestions to make this tutorial better, don't hesitate to drop me a line on the forums. I would really appreciate any comments, good or bad!